Moving is a huge life change, and it can cause a lot of stress, whether you’re moving across town or to an entirely new part of the country. Browse through these easy tips for staying upbeat through the entire moving process, and share your tips for making a smooth move to new digs in the comments or on the Intrinsic Vicissitude Facebook page. Avoid the Rush: Plan extra time to pack up your belongings in peace. If you have kids, schedule packing time while they’re at school or a babysitter’s so you can focus. Use a Label-Maker: Mark each box you pack with both the room it goes to and a general list of its contents. This help keep the move organized and reduces confusion when you reach your new home. Separate Things You Need to Have Handy: Pack the things you don’t expect to need immediately, and pack an overnight bag with the things you need sooner, like spare clothes and grooming supplies. Know Where Your Treasures Are: Few things are more stressful and mood-wrecking than losing the things you value. If you expect to return for visits, consider putting your valuable things in a safe-deposit box. If you don’t expect to be back, consider keeping them on your person during the move. Take Advantage of The Opportunity to Declutter: Clutter creates stress, so when you combine clutter with moving, it can really increase the amount of pressure you feel. Sell things you don’t really need on auction sites, or give away to charity for receipts you can use to get deductions when filing your taxes. 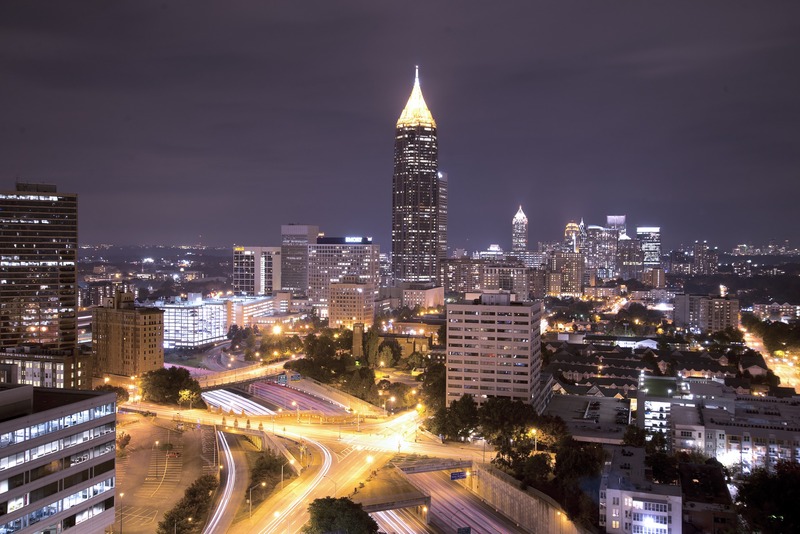 Whether you prefer the lifestyle of the suburbs or the inner city, there are advantages to moving to a big city like Atlanta – and those advantages can add to how positive you feel. Selection of Housing Types: When you’re browsing through the selection of Atlanta homes for sale, it’s a breeze to find something that fits your taste and your lifestyle. You’ll notice styles that range from charming cabins to ranch-style homes, double-story family homes with porches to sit and relax, and mansions that practically ooze elegance. Proximity to Amenities That Enhance Quality of Life: Living close to or in the city delivers advantages like being close to cultural venues, fitness activities, clubs, and people who share your interests. All these things ease the transition when you’re moving to a new location. Thanks for reading, and I hope you find these moving tips helpful and positivity-boosting!